Thank you to Mickleham and Westhumble Local History Group for allowing Dorking Museum to publish their research. Thank you to Jane Anthony from Dorking Museum for additional research. Thank you to Maureen Collins, granddaughter of William Collins for family information and photographs. William Collins was born in Easthampstead, Berkshire in 1876, the son of George Collins (born 1821) and Ann Collins nee Prior (born 1844). William had six siblings; Albert James (born 1866); George W. (born 1869); John (born 1871); Charles (born 1879); Arthur (born 1881) and Fred (born 1892). 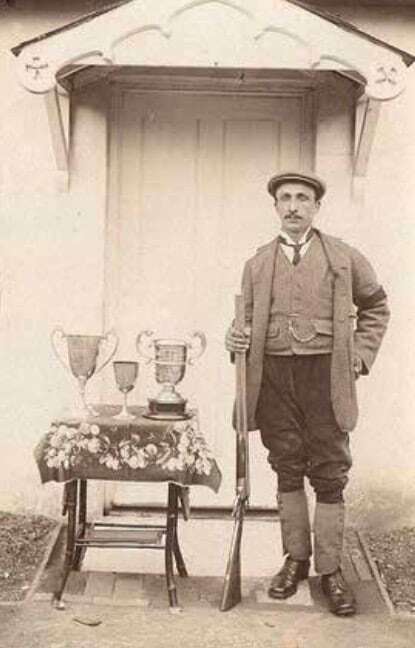 William’s father George was one of eight deerkeepers/gamekeepers for Queen Victoria. Like his father, William became a gamekeeper. He married Laura Dalton (1876-1966) and they had four children; George William (1904-1971), Percy (died in 1930); Edith and Gladys. Laura Dalton, one of 13 children, had been sent to work in the kitchen of a parsonage when quite young. The parson educated her with his own children and later on she worked in the kitchen of a house in Albermarle Street, London. She became an excellent cook. In 1911 William, Laura and their children were living at Bullen Wood Cottage, High Ashurst, Boxhill. William was head gamekeeper on the High Ashurst estate and Laura, was caterer for the shooting syndicate. William was a keen sportsman and played cricket for Headley where he received an award for highest batting average. He also played rugby and was a keen golfer. 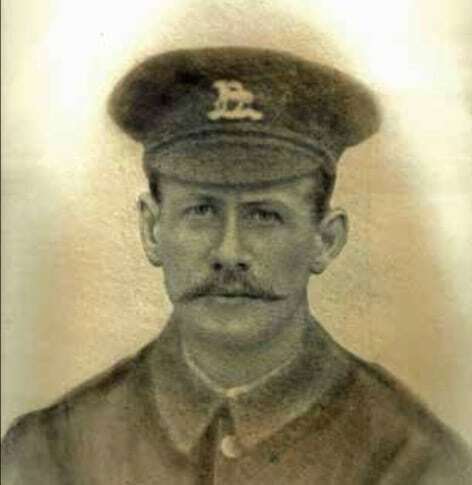 William died from wounds received during the Battle of Monchy le Preux, near Arras in France. No specific grave exists but he is mentioned at the Arras Memorial commemorating almost 35,000 casualties of the British, New Zealand and South African forces who died between Spring 1916 and 7th August 1918 who have no known grave. He is also commemorated on the Headley War Memorial and in St Mary the Virgin Church, Headley. After William’s death Laura and her four children had to leave their tied accommodation. In 1921 with the money from William’s life insurance policy (taken out by the shooting syndicate) and £100 borrowed from her brother, Laura bought a smallholding on Box Hill and began serving teas from the cottage. The Upper Farm business grew to include tea rooms, a camp site and, in 1933, a swimming pool. The business continued after Laura’s death until her eldest son George died in 1971. William and Laura’s son Percy raced motorcycles at Brooklands and at one time held the speed record (over 63 mph). He was killed in a road accident on his way home from racing at Brooklands in 1930.